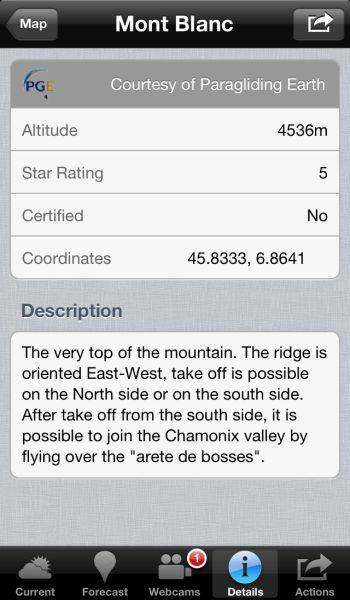 Paragliding Map is available as a free iOS app from the App Store. You can experience all the information of Paragliding Map in the palm of your hand - using your iOS device! Paragliding Map for iOS has some exclusive features that are not even available on the website or Android version yet. Once you find a site you want to fly, you can use the Maps app to drive to the takeoff. Show your location on the map as a blue icon in real-time. This feature is useful if you are walking a forest trail to a takeoff and need to ensure you are walking in the correct direction. Special characters are ignored. 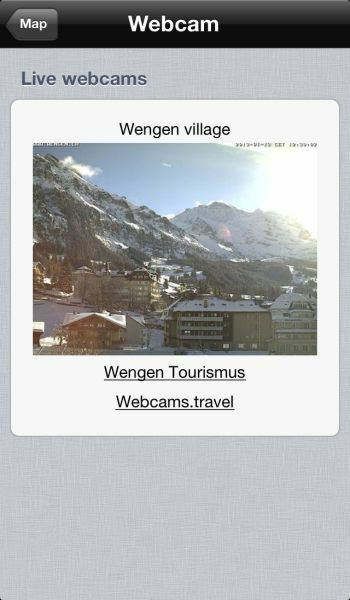 Eg: "murren" and "muerren" will find Mürren. 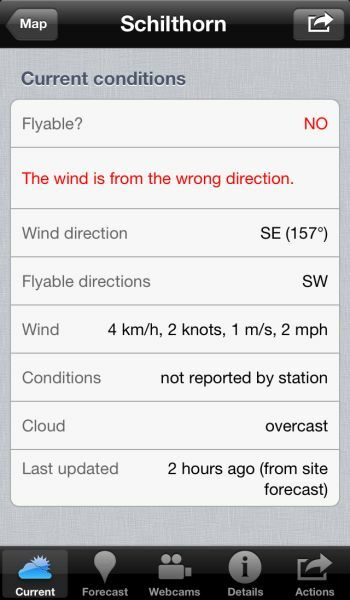 The usual site details are displayed, such as acceptable wind direction, current wind direction, gust strength, cloud condition, etc. 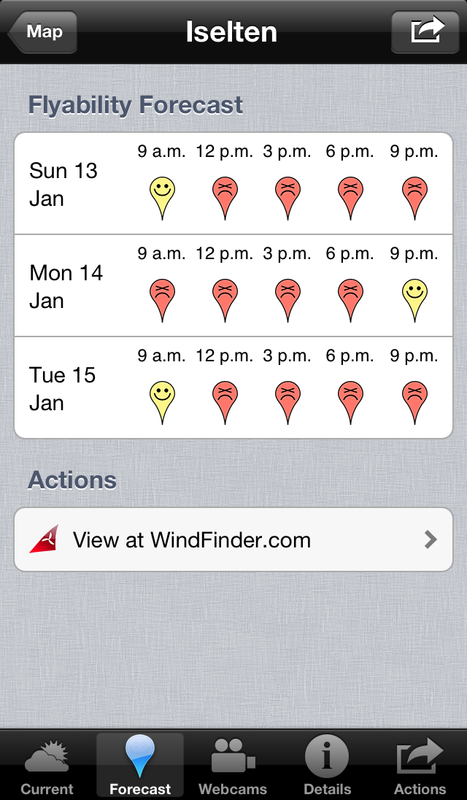 The 3-day flyability forecast is displayed as "happy" and "sad" icons. Webcams are displayed as markers on the map - this feature is exclusive to the iOS app. Additionally, up to 3 webcams are displayed for each site. 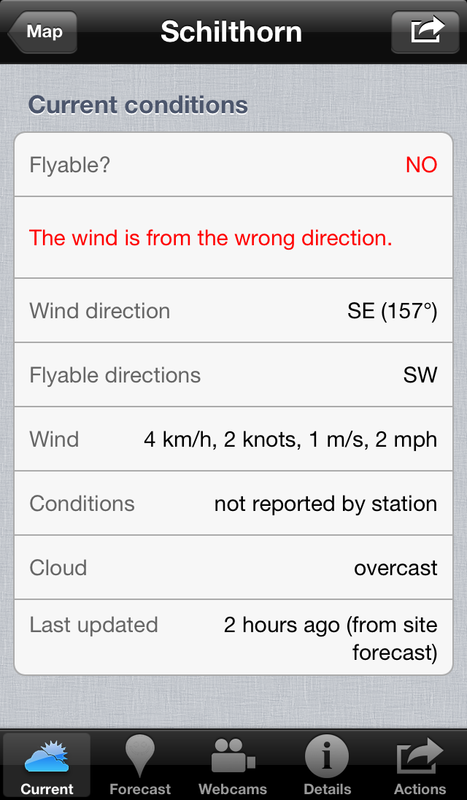 This is especially useful to check actual conditions match the reported conditions. Often you can even check if other pilots are already in the air! * Features marked with asterisks require an in-app purchase. 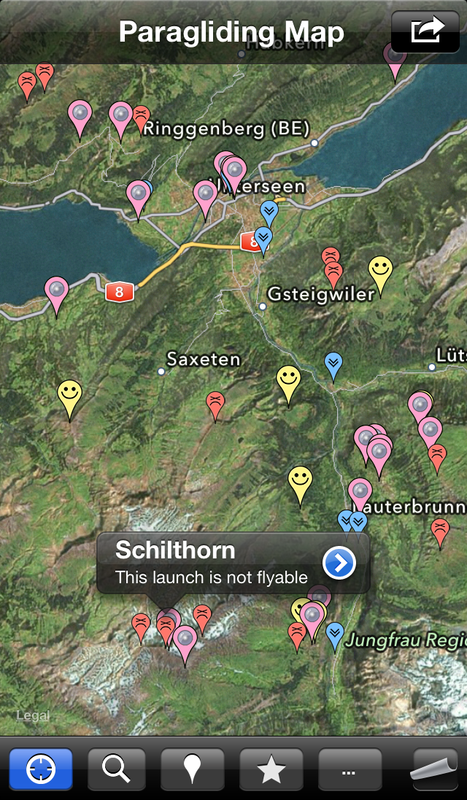 Much of the functionality in Paragliding Map for iOS is free. If you want to add more features, you can do this through a standard in-app purchase. View 3-day forecasts for each site, and webcams for all sites where available. 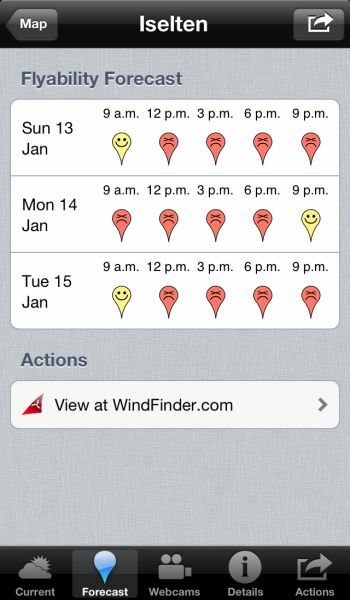 View forecast details for each site on WindFinder. Advertising will be turned off. Removes all advertising from the app. Note: Advertising is also removed by purchasing any other in-app purchase. The free version is not time-limited, and you are welcome to use it forever. You can download the free Paragliding Map for iOS app directly from the App Store by clicking below. Click on the logo below to download directly from the App Store.